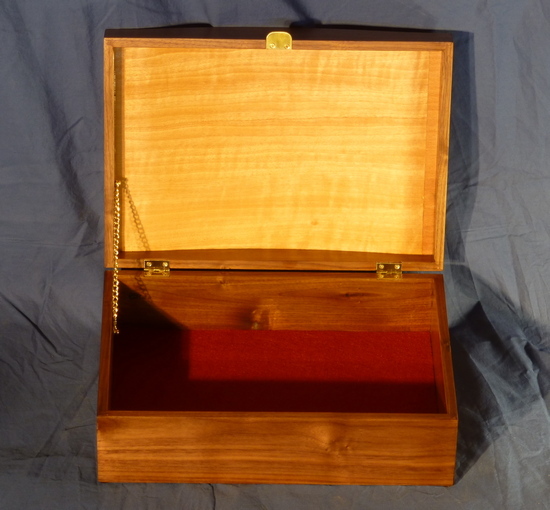 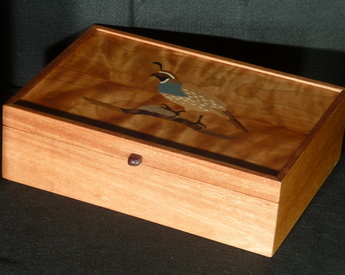 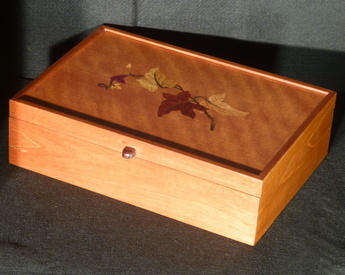 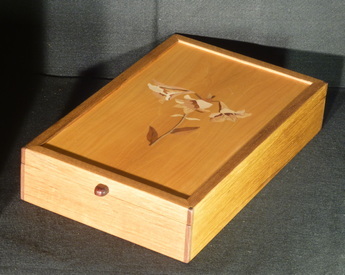 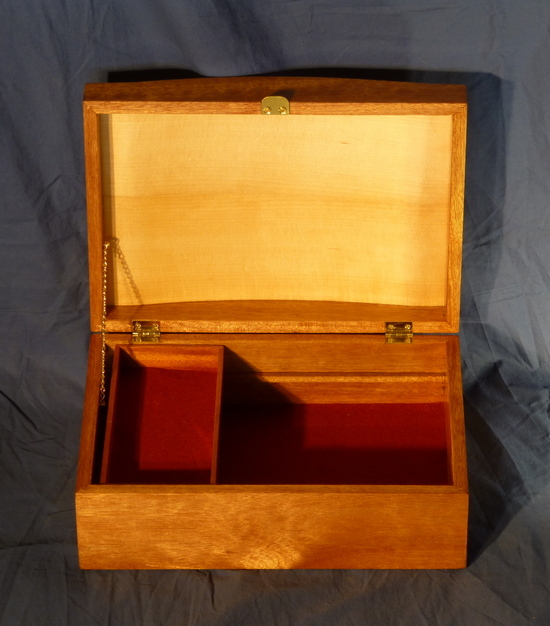 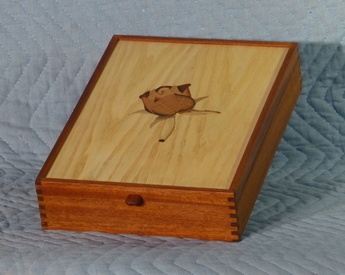 Each hand-made box has a very special meaning for the recipient, who uses it to store treasured items. 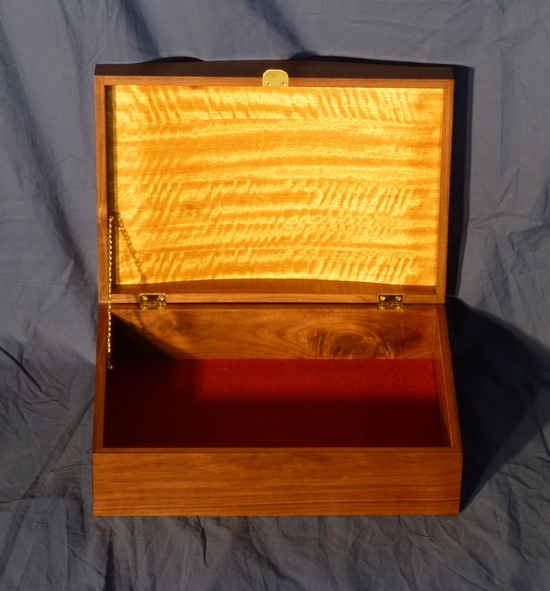 Consider gifting one of these to a person close to you. 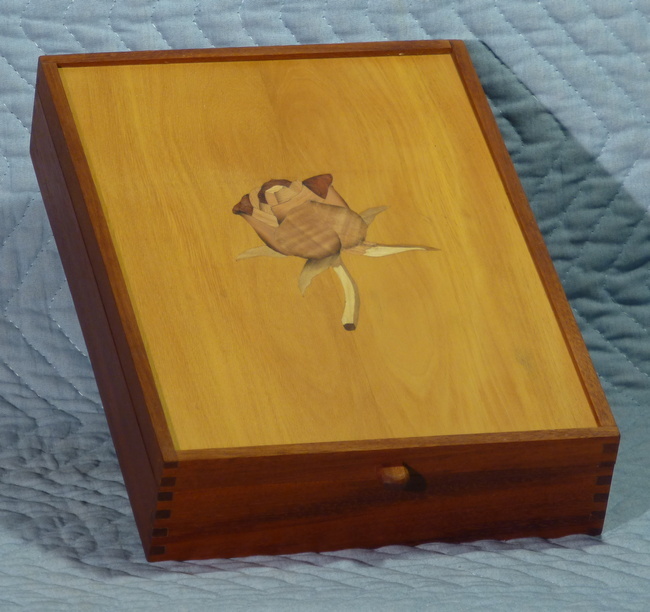 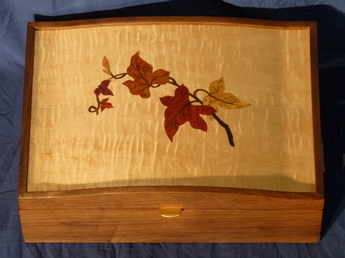 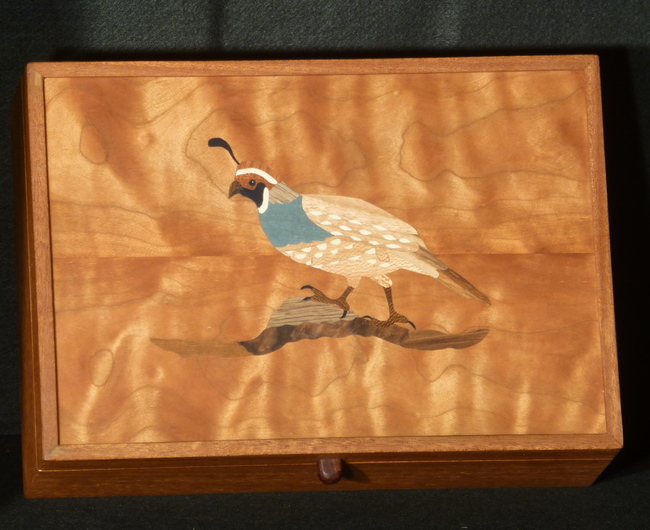 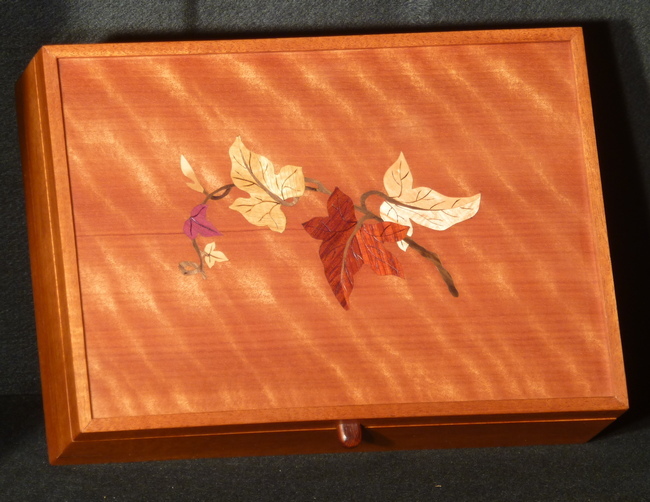 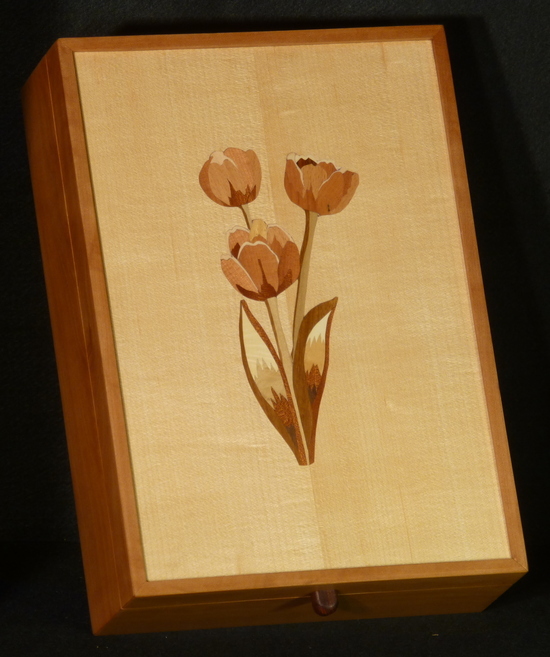 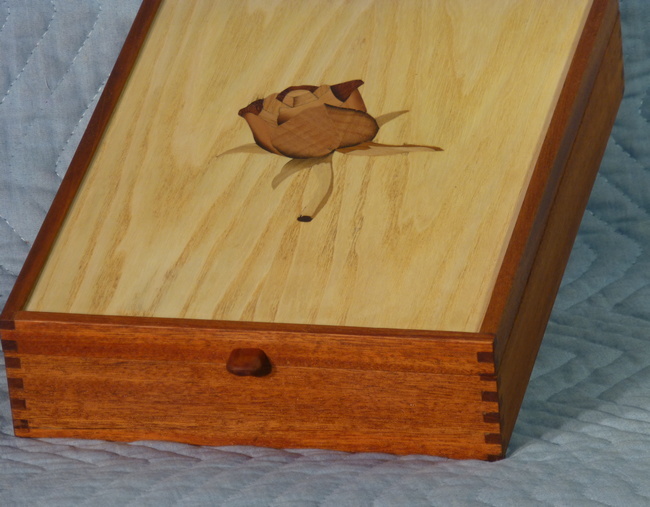 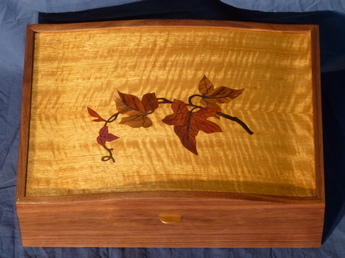 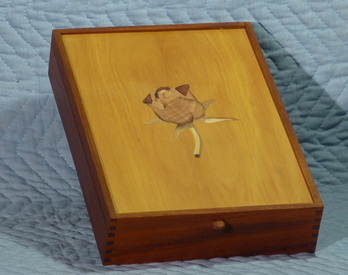 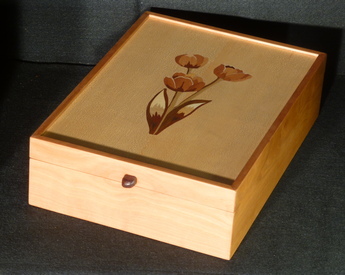 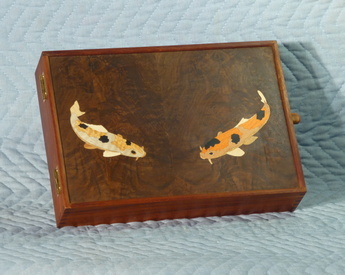 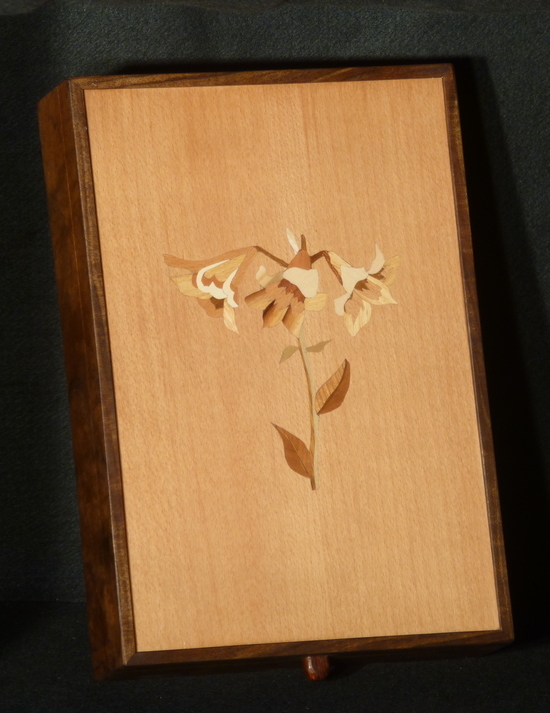 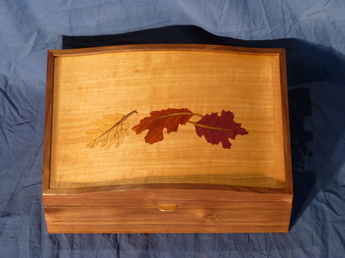 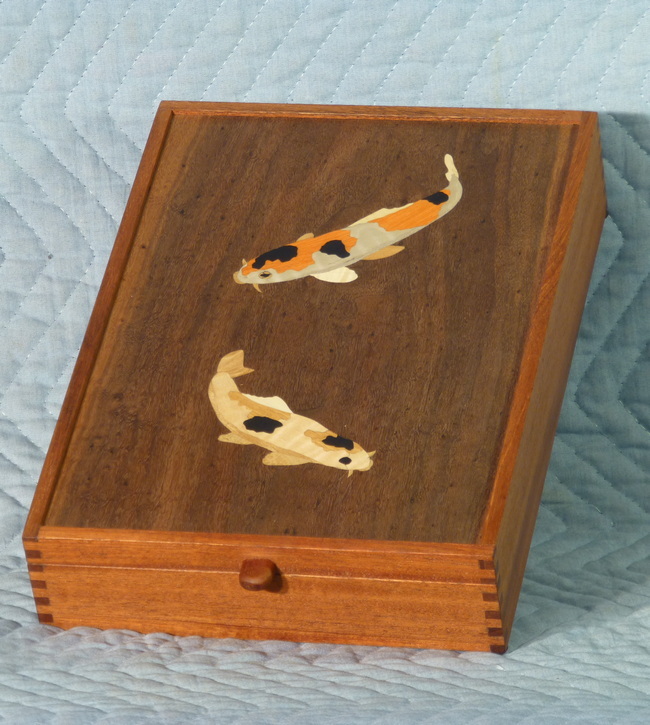 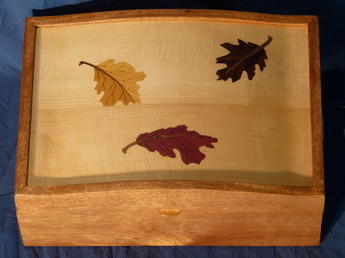 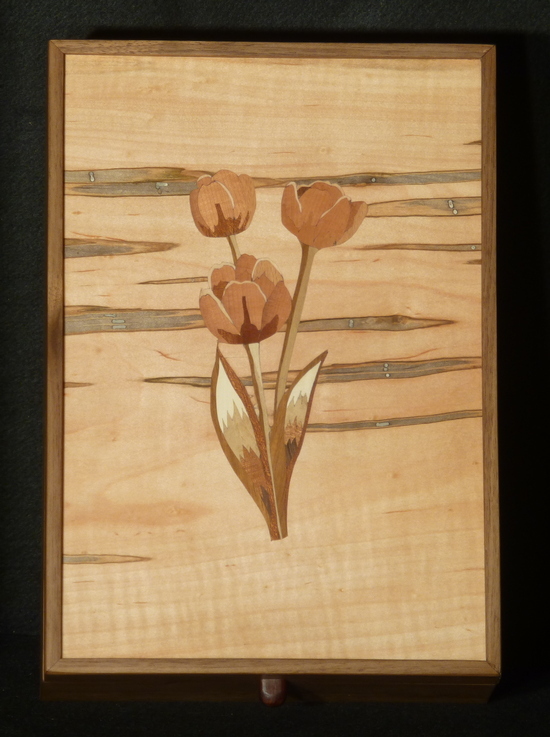 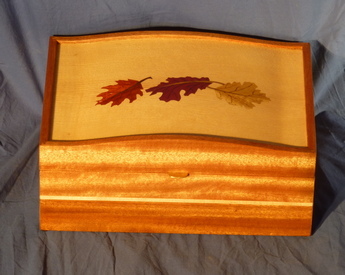 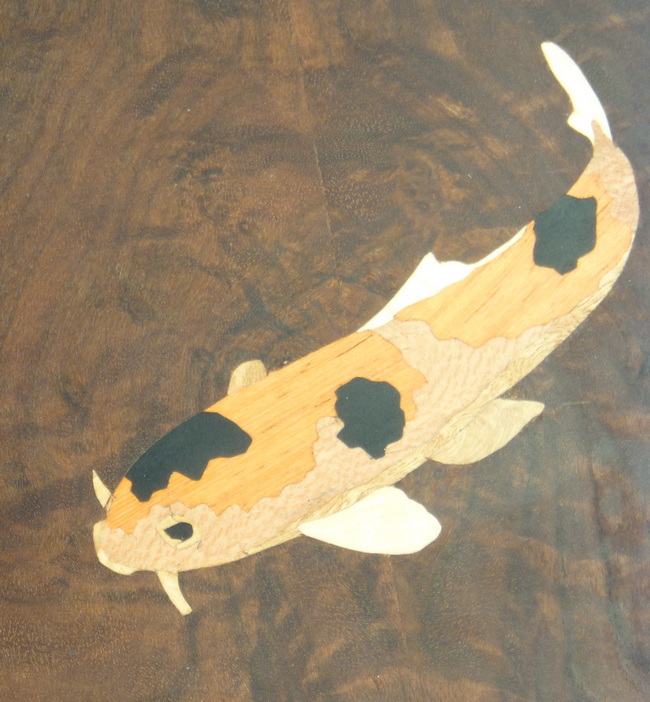 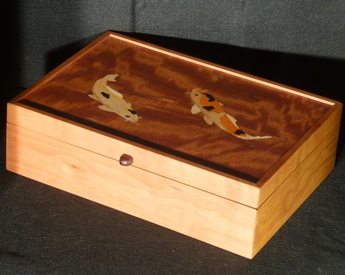 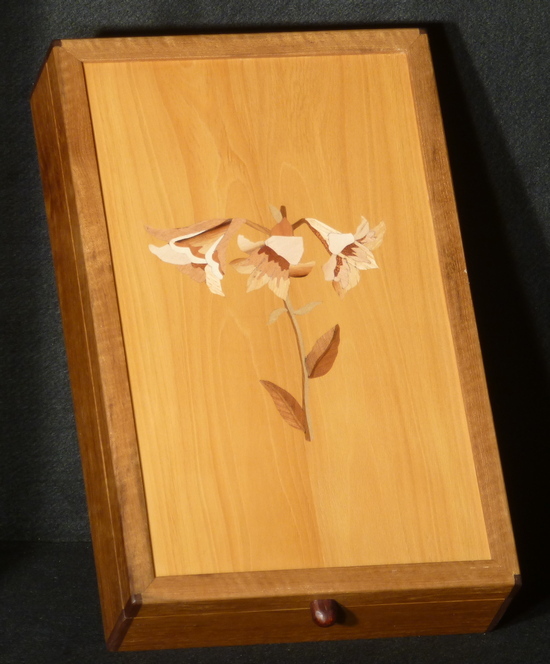 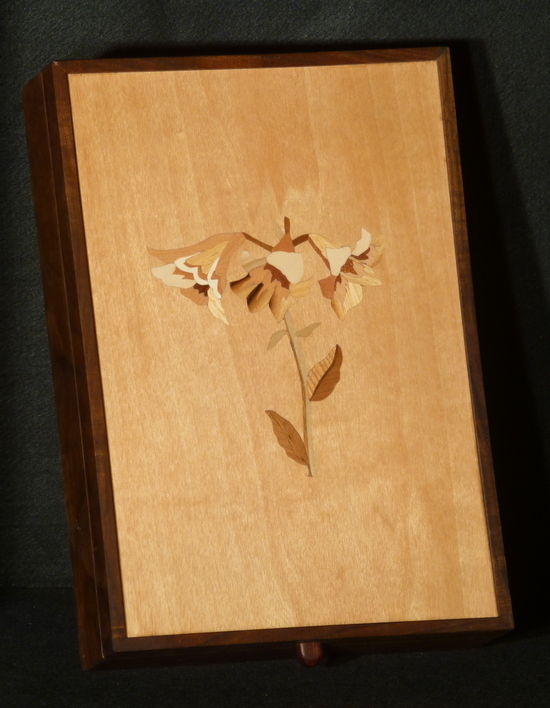 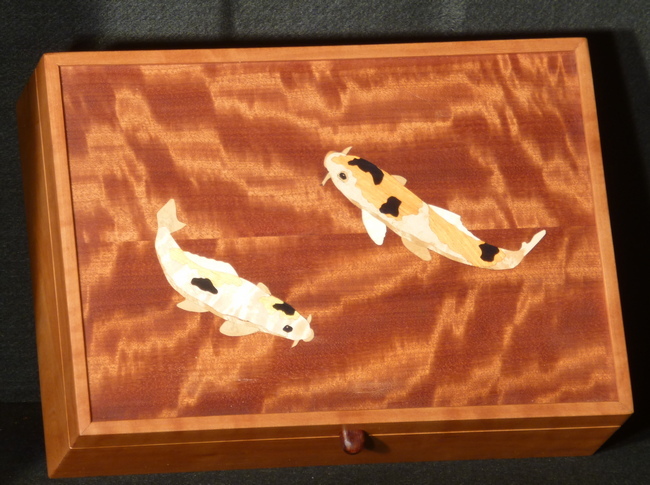 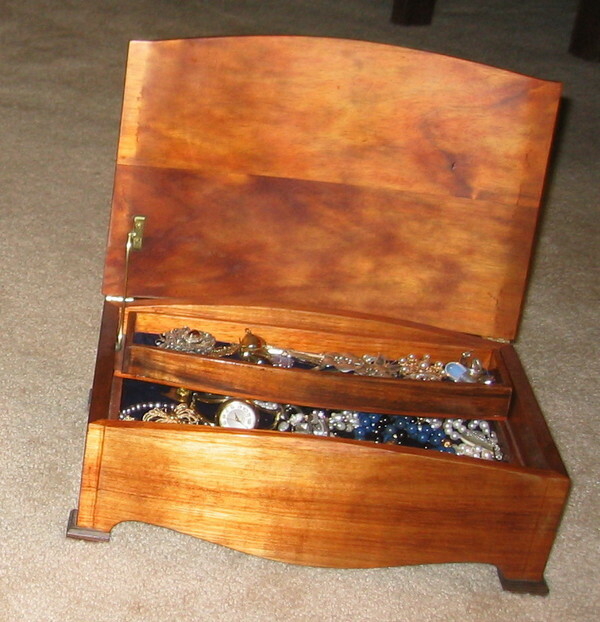 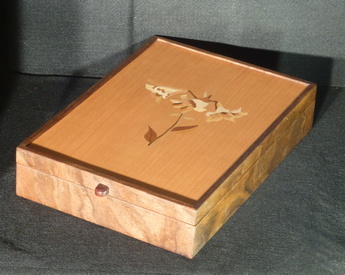 I recently created a series of jewelry boxes with curved tops inlaid with special scenes. 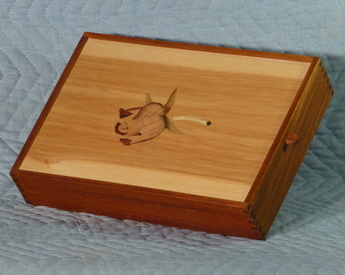 These boxes are all approximately 13 1/2" long by 9 1/2" wide by 5" deep. 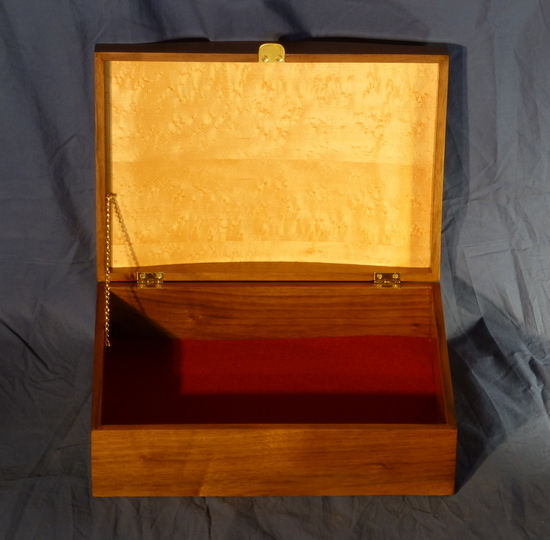 The handle is hand-shaped brass, and the lid is held open with a brass chain. 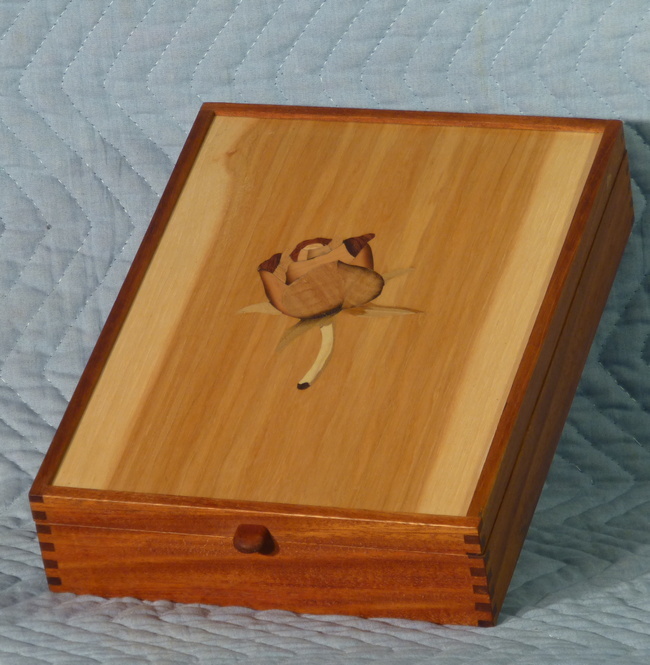 I also created a series of more compact boxes. 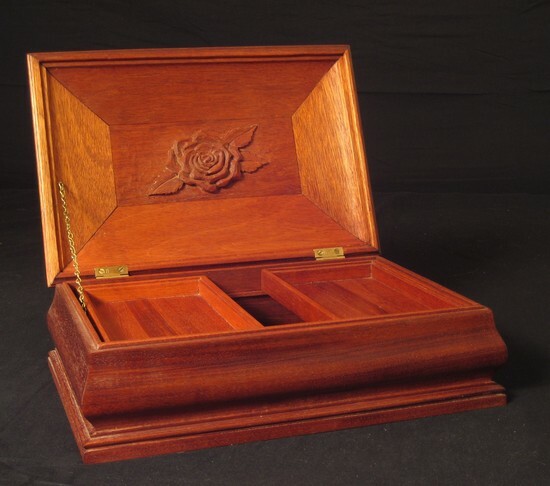 For the romantic among us, one of these would be ideal for storing love letters. 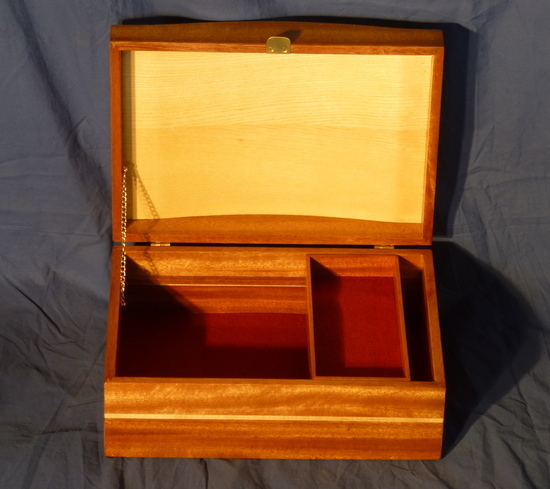 For the more practical, these are ideal for storing stacks of bills and notices (and thus clearing your desk!). 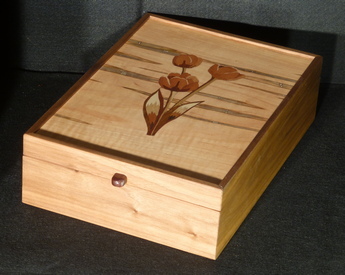 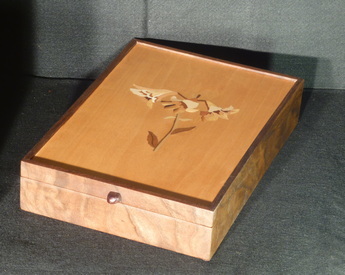 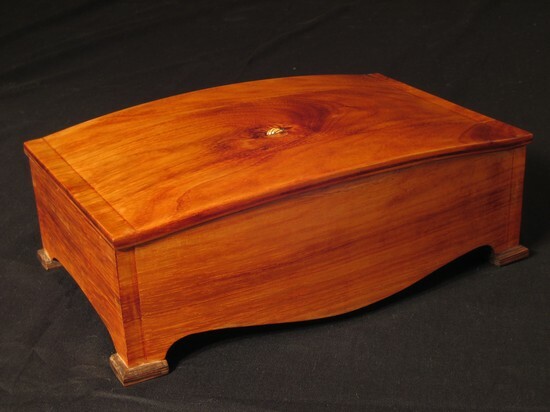 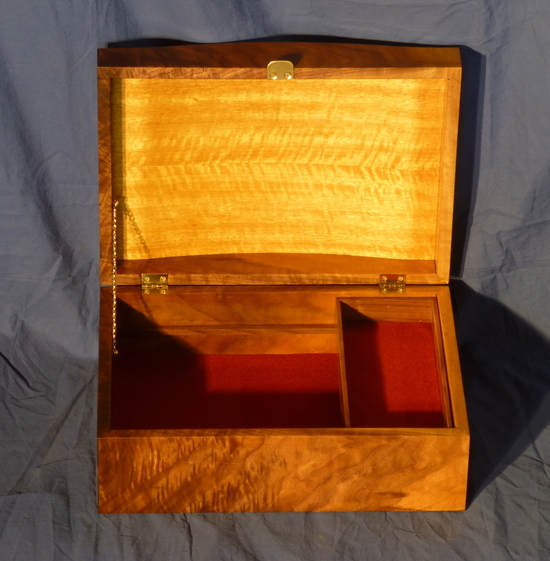 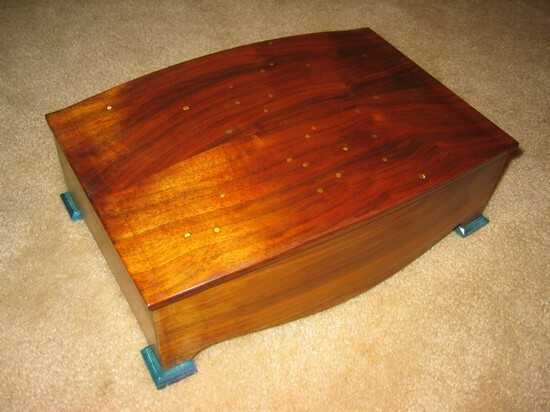 These boxes are crafted of various hardwoods with either box-joints or miter joints. 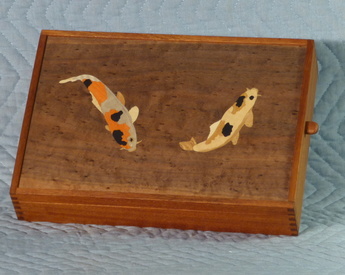 They are all approximately 14" long by 10" wide by 3 to 4" deep. 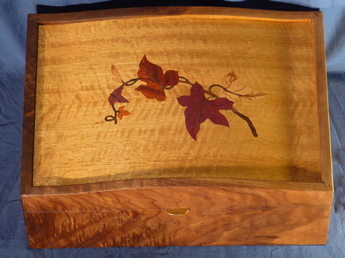 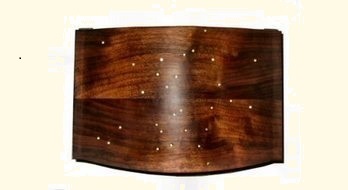 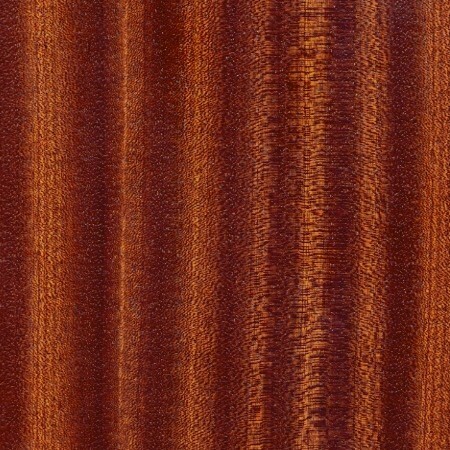 The handle is hand-shaped walnut or bubinga.